Brooks Orpik went 824 days between goals before scoring the winner in Game 2 of the Stanley Cup Final. In that span, the bruising defenseman blocked 446 shots and dished out even more hits. That won't make him look more valuable on the stat sheet but certainly builds up respect among Washington Capitals teammates. "He plays extremely hard," forward Tom Wilson said. "They don't make 'em like Brooks Orpik anymore." As the NHL shifts toward speed and skill and away from size and physicality, defensemen like Orpik and Deryk Engelland of the Vegas Golden Knights are becoming rare species in hockey. Mobile puck-movers like Erik Karlsson are prized and behemoths like Hal Gill are gone. And yet Orpik and Engelland have helped their teams reach the Stanley Cup Final and shown there's still value in having a big defensive defenseman along for the ride -- especially this time of year. "In the playoffs, teams get to the net a lot harder," Capitals coach Barry Trotz said. "Everybody's jamming things at the net and everybody's getting numbers to the net and trying to create chaos around them. Sometimes those stay-at-home guys are very valuable. They can box you out, they can protect your goaltender in terms of not have to have second and third shots, those type of things. So they're quite valuable in series where there's a lot of net pressure and a lot of low play." Analytics don't tell that story. Defensemen like Orpik routinely start in the defensive zone and are placed in positions to be on the ice for more shots against than shots for, so the numbers aren't pretty. Orpik has the eighth-worst Corsi percentage -- a measure of shot attempts that simulates puck possession stats -- among defensemen to play in at least 10 playoff games. Yet he has been incredibly effective at age 37 by clearing space in front of the net, delivering hits and clearing the puck out of the defensive zone. "I know Brooksie from Pittsburgh and he stays in tremendous shape," Engelland said. "You try not to have guys standing around in front of the net too much and give your goalie some room. He's a physical presence back there and maybe gives guys a second less to think with the puck, I guess you could say, and maybe rush a play or something if they don't want to get hit. It's always good to have that on the back end." 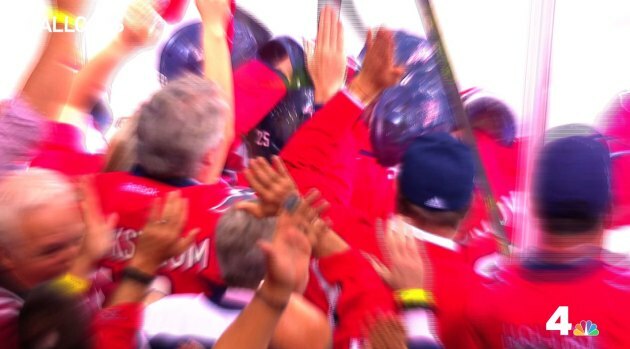 Hundreds of fans cheered on the Caps as they had there last practice before leaving to face the Vegas Gold Knights in Game 1 of the Stanley Cup finals. News4's Derrick Ward reports. Orpik scored the Game 2 winner -- his first goal of any kind since Feb. 26, 2016 and first in the playoffs with the Capitals -- and didn't even remember celebrating. He's not known for scoring, which made Washington's T.J. Oshie all the more excited for Orpik putting the puck in the net. "I haven't yelled that loud for someone to score a goal since (Alex Ovechkin) scored one of his milestones," Oshie said. "To see him get rewarded with a goal at a big time, it makes me feel good." Washington goaltender Braden Holtby said defensemen like Orpik are usually his favorite players because of what they do in front of the net. Gifted two-way defensemen like the Capitals' John Carlson and Golden Knights' Nate Schmidt find a way to do a little bit of everything, but they don't have the size and strength of the 6-foot-3, 217-pound Orpik, who knows what his job is. "I don't think necessarily you want to change a lot," Orpik said. "I think if you try to get six defensemen that all play the exact same way, in my opinion you're not going to be a very balanced team or you're not going to go very far. You try to do what you've always done, not just with the way the game has changed. I think as you get older too if you don't change certain things like the way you train or the way you play, you're going to get pushed out, so you have to be able to adapt." Maybe a decade from now there will be less of an emphasis on hulking defensemen hired to hit more than score. But Orpik and Engelland still represent the kind of throwback players teammates want to have around. "They compete, they make it hard on guys in front of the net," Holtby said. "They're always thinking defensively with how they can help the team that way." Whoa! 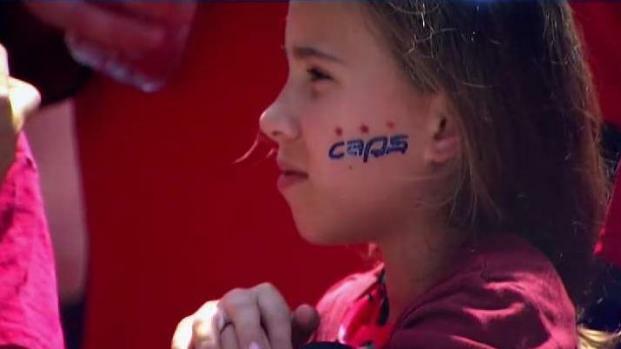 It was a shutout in game 7 of the Eastern Conference final as the Caps overpowered Tampa Bay the Lightning. Next stop, Vegas! Off the ice, there's more players like Orpik and Engelland can do. Schmidt, who broke into the NHL as Orpik's teammate in Washington, said Engelland has helped young Shea Theodore develop. "They help guys on the mental aspect of things more than anything," Schmidt said. "I think that's where they really come into play. That really translates to guys being able to flourish on the ice." Orpik has had the same impact on defensive partner Christian Djoos, who has been stable during this playoff run. Then there's the importance Orpik has as an alternate captain and leader in the Capitals' locker room in his fourth season with the team. "The amount of leadership, the amount of everything that Brooks Orpik brings to this team, you can't describe it," Wilson said. "We're pretty privileged to have him around. He's a rock back there."